UPDATE: Pay It Forward Cafe is at a new location! Starting Saturday, April 13, 2019, the Cafe will be hosted at Ridgewood United Methodist Church at 6330 Ridge Road, Parma, OH. 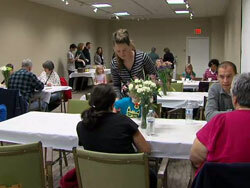 Pay It Forward Cafe, currently held at 6330 Ridge Road in Parma, Ohio, is an outreach of Community Ambassadors, in partnership with Ridgewood United Methodist Church, formed to meet the physical and emotional needs of families, individuals, and children who are facing challenging times. We partner with local businesses and organizations in order to provide a healthy meal every 2nd Saturday of the month at 12:00 PM. In addition to providing a meal, we also provide family-fun activities for the children, as well as education and resources to all adults that attend. Our goal is not merely to feed those that come, but also to enrich their lives. 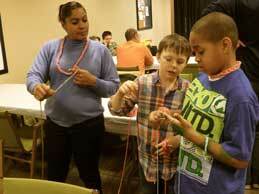 Nearly 3,000 students in Parma City Schools are on free or reduced lunch. Many of these 3,000 students have, at minimum, breakfast and lunch provided by the schools on weekdays, but no food options guaranteed on the weekend. Ohio ranks 3rd in the nation for the highest number of food insecure households. In 2009, 14.7 percent of households (17.4 million households) in the U.S. were food insecure. The Parma City Schools have seen a rise in the number of children who need support as the poverty rate has risen from 20% to 44%. The district has seen a rise in the number of children who need support as our poverty rate has risen from 20% to 44%. With that change in demographics came a number of nonacademic barriers to education which have motivated us to put in place after school programs and district-wide food drives. We are lucky in this community to have the help of the Parma Area Family Collaborative, the Community/Business/School Partnership, strong support from the PTAs and a professional and dedicated staff. 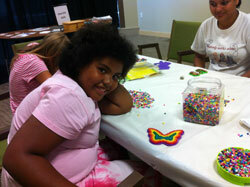 For those children at-risk, some of our programs are critical to help them keep positive momentum in their own lives. Pay It Forward Cafe is for families and individuals in the Parma and surrounding communities who may need a nutritious meal or just an opportunity to connect and build relationship with others in the community. Pay It Forward Cafe is OPEN TO ALL and there is NO COST to attending. Pay it Forward Cafe exists as a result of generous donations of food, money, time, and talent from all over the Parma area community. Local businesses noted in our Community Sponsors section, as well as many of our area churches, have collaborated and provided valuable resources to help support this outreach. Without this support, Pay it Forward Cafe simply would not be possible. If you would like to volunteer your time, talent, or resources, please contact us. To donate supplies, please check out the Super Six items that we always need. If you would like to make a financial donation, you may do so online, safely and securely, via the Contribute page. 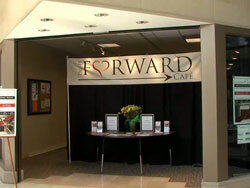 Pay It Forward Cafe (PIF Cafe) first began on December 6, 2008 at the Parma Park Reformed Church, aka “Church in the Woods” (Pastor Terry & Laura Muller). Under the direction of Kathy Weber, the program was created to assist families that had been caught in the economic downturn. Starting out as a weekly hot meal program, it evolved into becoming an essential social networking and support system for the individuals and families that attended. In addition to the nutritious meals, PIF Cafe also provided entertainment, educational workshops, and even fun field trips for the patrons, much of which was made possible by the remarkable collaboration of many local businesses and organizations. Weber also inspired the “Adopt-a-Platoon” program in which the children at PIF Cafe could “pay it forward” by sending cards and care packages to soldiers overseas. 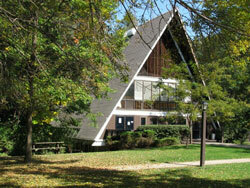 PIF Cafe operated within Church in the Woods until March of 2011, at which time the church closed its doors. After March, 2011, Weber sought to find another place to transition the Cafe to. In November, 2011, she partnered with Community Ambassadors, guiding the transition and restoring the program to the Parma area community once again. 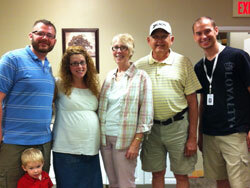 In December, 2011, Community Ambassadors was able to secure a retail space in Parmatown Mall to facilitate the Cafe. The mall proved to be a wonderful location, conducive for holding various gatherings and expanding the outreach to the community. PIF Cafe remained at Parmatown Mall until March, 2014, at which time the mall began a demolition project that would force Community Ambassadors to vacate and search for a new home. Without skipping a beat, in April, 2014, PIF Cafe moved its operation to New Life Fellowship on 5994 Ridge Road, where it operated until December, 2016. In January, 2016, PIF Cafe moved again to Han Madang United Methodist Church on 7800 Pleasant Valley Road. In February, 2017, it relocated once again to Grantwood Community Church on 2707 Grantwood Road, where it operated until March, 2019, under the direction of Pastor Paul Morrison. 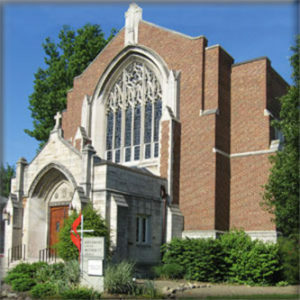 As of April, 2019, the Cafe is now housed at Ridgewood United Methodist Church at 6330 Ridge Road, and is under the direction of Program Director, Lorena Rosa. Over the years, the Cafe’s location has changed many times, but what has remained constant is the vision and spirit that Weber and Church in the Woods cultivated many years ago. Want More Information about PIF Cafe? Your financial contributions are always greatly appreciated. To donate online, please use the Paypal link below. 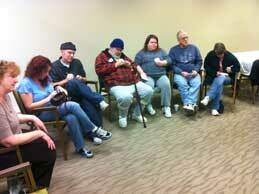 *Community Ambassadors is a registered 501(c)(3) nonprofit organization. All donations are tax deductible in full or in part.